101 The Fox presents the 11th annual Rock n Roll Dream Concert, with your chance to ride off on YOUR Dream Bike! You could be the Fox Fanatic that scores your choice of ONE of FOUR NEW Harleys’ from Rawhide Harley-Davidson®! Listen to score a four pack of tickets and a qualifying key to fire up the Harley weekdays April 17th to April 26th during the 8, 11 and 3 o’clock hours! The Dream Concert will feature tributes to RUSH, AC/DC, Van Halen, Guns N Roses, and Def Leppard on Saturday July 27th at Providence Medical Center Amphitheater! 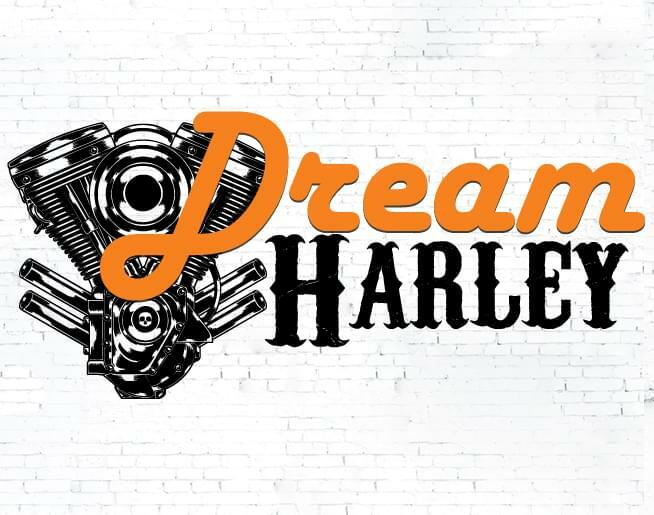 That NIGHT at the DREAM CONCERT ONE Lucky listener will WIN THEIR DREAM HARLEY! Presented by Rawhide Harley-Davidson® and Kansas City’s Classic Rock, 101 The Fox! A complete copy of these rules can be obtained at the offices of radio station KCFX-FM (“Station”), owned and operated by CMP KC LLC located at 5800 Foxridge Drive Suite 600 Mission, KS 66202, during normal business hours Monday through Friday or by sending a self-addressed, stamped envelope to the above address. Eligibility. This Contest is open only to legal U.S. residents, age eighteen (18) years or older at the time of entry with a valid Social Security number and who reside in the Station’s Designated Market Area (“DMA”) as defined by Nielsen Audio, who have not won a prize from the Station in the last (30) Thirty days or a prize valued at $500 or more in the (60) Sixty Days, and whose immediate family members or household members have not won a prize from the Station in the last (30) Thirty days or a prize valued at $500 or more in the (60) Sixty Days. Void where prohibited by law. Employees of CMP KC LLC, its parent company, affiliates, related entities and subsidiaries, promotional sponsors, prize providers, advertising agencies, other radio stations serving the Station’s DMA, and the immediate family members and household members of all such employees are not eligible to participate. The term “immediate family members” includes spouses, parents and step-parents, siblings and step-siblings, and children and stepchildren. The term “household members” refers to people who share the same residence at least three (3) months out of the year. The Contest is subject to all applicable federal, state and local laws and regulations. Participation constitutes entrant’s full and unconditional agreement to these Official Rules and Station’s decisions, which are final and binding in all matters related to the Contest. Winning a prize is contingent upon fulfilling all requirements set forth herein. A person may only qualify one (1) time during this Contest. Only one (1) Qualifier per immediate family and/or household member. Once a member of an immediate family or household qualifies, no other persons are eligible to participate in this Contest. Contest Period. The Contest will begin at 8:00am CT on April 17, 2019 and will run through 7:59pm CT on July 27, 2019 (the “Contest Period”). The Station’s computer is the official time keeping device for this Contest. (i) On-Air: Listen to the Station weekdays April 17th to April 26th at 8:00am, 11:10am, and 3:00pm AND from July 15th to July 26th at 8:00am, 11:10am, and 3:00pm during the Contest Period. When the Station plays the “cue-to-call” sounder, listeners should call the Station at 816-576-7739. Caller number (11) eleven to the Station, as determined by the Station in its sole discretion, will be entered to win. Time Delay Between Over-the-Air Analog Signal and Internet Broadcast: Due to the time delay that exists between the Station’s analog over-the-air signal and the Station’s online webcast, listeners who listen to the Station online may hear the cue to call later than listeners listening to the Station’s analog over-the-air signal. As a result, the odds of an online listener entering this Contest on-air may be diminished. The On-Air portion of this Contest will not run on Memorial Day, Monday, May 27, 2019 and July 4, 2019. 7/25/19 Wet ‘N’ Wild Bike Night. Incomplete or illegible entry forms, as determined in the Station’s sole discretion, will be considered not entered for purposes of this Contest. PLEASE PRINT. (iii) Online: Visit the Station’s website www.101thefox.net during the Contest Period, click on the “Contest” link, click on the “DREAM HARLEY” Contest link, and complete an entry form. All entries must be received by 11:59 pm CT on July 24th, 2019 to be eligible for the Grand Prize drawing. Limit one (1) entry per person per day per email address. Multiple participants are not permitted to share the same email address. Any attempt by any participant to submit more than one (1) entry per day by using multiple/different email addresses, identities, registrations and logins, or any other methods will void that entry and the participant may be disqualified. Use of any automated system to participate is prohibited and will result in disqualification. Station is not responsible for lost, late, incomplete, invalid, unintelligible, inappropriate or misdirected registrations, all of which will be disqualified. In the event of a dispute as to any registration, the authorized account holder of the email address used to register will be deemed to be the participant. The “authorized account holder” is the natural person assigned the telephone number by the wireless carrier or an email address by an Internet access provider, online service provider or other organization responsible for assigning email addresses for the domain associated with the submitted address. Potential winner may be required to show proof of being the authorized account holder. All entries become the sole and exclusive property of Station and will not be returned. Station reserves the right to contact entrants and all other individuals whose email address is submitted as part of this promotion. No mail-in entries will be accepted. (iv) Text: Send a text message with the keyword RAWHIDE to 68255 during the Contest Period. All entries must be received by 11:59pm CT on July 24th, 2019 to be eligible for the Grand Prize drawing. Standard text messaging rates, as established by an individual’s wireless carrier, may apply, and Station assumes no responsibility for any fees or charges incurred for and associated with any text message sent to or from Station. Any and all fees arising out of the transmission of a text message shall be the sole responsibility of the entrant. Limit one (1) entry per person per phone number. Multiple participants are not permitted to share the same telephone number. Any attempt by any participant to submit more than one (1) entry by using multiple/different telephone phone numbers, identities, or any other methods will void that participant from further participation in the Contest. 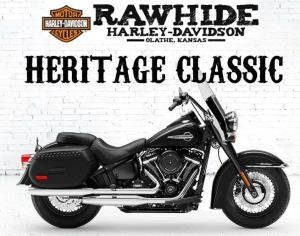 (v) On Location: Go to the Customer service counter at Rawhide Harley-Davidson during regular business hours located at 725 N Rawhide, Olathe, KS 66061 and complete an entry form between April 10th 2019 and July 24th, 2019 at 5:00pm. (Including your name, telephone number, email address, date of birth, and any other information requested by the Sponsor). Limit one (1) entry per person. All entries must be received by July 24th, 2019 at 5:00pm Central. 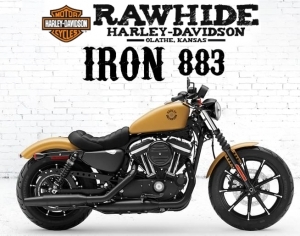 If an entrant opts-in, all data from the Entries submitted On Location at Rawhide Harley-Davison will be shared with Rawhide Harley-Davidson. Agreeing for your data to be shared, is not a condition to entering the Contest this way. Incomplete or illegible entry forms, as determined in the Station’s sole discretion, will be considered not entered for purposes of this Contest. PLEASE PRINT. (vi) Last chance: Attend the Final Event at the Rock N’ Roll Dream Concert Saturday July 27th 2019 and complete an entry form at the Radio Station tent located inside the venue at Providence Medical Center Amphitheater located at 633 N. 130th St. Bonner Springs, KS 66012. Limit one (1) entry per person. All entries must be received by 6:00pm CT on July 27th, 2019 to be eligible for the Grand Prize drawing. . Incomplete or illegible entry forms, as determined in the Station’s sole discretion, will be considered not entered for purposes of this Contest. PLEASE PRINT. (i) ON AIR: Fifty Four (54) ON AIR Qualifiers will all receive (4) Rock N’ Roll Dream Concert tickets at Providence Medical Center Amphitheater Saturday July 27th 2019 and be invited to attend the final drawing. On Air Contesting happening weekdays April 17th to April 26th AND from July 15th to July 26th. (ii) Radio Station Event: Twenty (20) TOTAL Qualifiers from Radio Station Events registrations. FOUR (4) qualifiers PER Radio Station Event will be chosen from the register box on the dates listed above at Rawhide Harley-Davidson dealership to receive (4) Rock N’ Roll Dream Concert tickets at Providence Medical Center Amphitheater Saturday July 27th 2019. The Radio Station Event Qualifiers will be chosen on or about 7:00pm CT at the END of the Radio Station Event dates listed above. (vi) Last chance: A Minimum of ONE (1) Qualifiers at the Final Event Registration on Saturday July 27th 2019 chosen by 6:00pm CT. If for any reason after the ONE (1) Last Chance qualifier is chosen ALL of the (150) one hundred and fifty TOTAL Qualifiers required for the Final drawing are NOT properly checked-in and present that day the Station reserves the right to choose multiple entries from the Last Chance registration box that day at the FINAL Drawing in order to reach (150) one hundred and fifty TOTAL Qualifiers who are properly checked-in and present. All qualifiers MUST be present in order to be eligible for final drawing. Winner Selection. All Qualifiers must attend the Final Event at Rock N Roll Dream Concert on Saturday July 27th 2019 at Providence Medical Center Amphitheater located at 633 N. 130th St. Bonner Springs, KS 66012 and check in no later than 6:00 p.m. In order to WIN the Grand Prize ALL Qualifiers MUST present a current, valid government issued photo ID and check in with the Station no later than 6:00 p.m., CST and remain present throughout the Final Event conducted at the Rock N Roll Dream Concert on Saturday July 27th 2019 at Providence Medical Center Amphitheater located at 633 N. 130th St. Bonner Springs, KS 66012. NO PROXIES WILL BE ALLOWED FOR ANY REASON. Should a Qualifier not check-in by the stated deadline, not have a current, valid government issued photo ID, and/or leave the premises after properly checked-in, then he/she will be immediately disqualified and will no longer be eligible to win the Grand Prize. When qualifiers arrive at the venue they will be instructed to go to the Radio Station Dream Harley Drawing VIP Area and complete an entry form with all required information including: name, cell phone number, email address, and date of birth BEFORE 6:00pm CT on July 27th Limit one (1) entry per qualifier. Grand Prize Winner Selection Key Drawing: Once the (150) one hundred and fifty qualifiers check-in they will be asked to choose, from the receptacle displayed on site, a random number that will be printed on a piece of paper between (1) ONE and (150) one hundred and fifty. THAT Number will be the order the qualifiers will choose a key in. Once ALL qualifiers are checked in on or about 6:15pm CST on Saturday July 27th 2019 the Station will begin the Key Drawing. If for any reason there are less than (150) one hundred and fifty Qualifiers present for the event, the Station reserves the right, in its sole discretion to randomly select, eligible (as defined above) replacement Qualifiers from Last Chance registrations in attendance on the day of the contest to make sure there are (150) one hundred and fifty TOTAL Qualifiers. If for any reason there are no more Last Chance entries left to CHOOSE qualifiers the Station will remove the necessary amount of keys to display a number equal to the number of Qualifiers properly checked-in and in attendance at the event. ALL QUALIFIERS MUST BE PRESENT TO WIN. Each Qualifier will be given the opportunity to select from (1) ONE up to (150) one hundred and fifty keys at random from the available keys displayed. Each Qualifier will pick their key and try to unlock the padlock on the display box that will hold a Harley-Davidson Motorcycle Key inside. If the key the Qualifier chose does NOT unlock the padlock they are NOT the winner and they will return the key to the display. – All contest Key Unlock attempts must occur in the presence of a Station on site contest administrator. Any attempt(s) not made in the presence of a Station contest administrator for any reason will be disqualified and is not eligible for the grand prize. – Each Qualifier will have ONE (1) opportunity to choose ONE (1) of the keys from the display at random and then attempt to use that key to unlock the padlock on the box. – If for any reason a Qualifier is disqualified Station reserves the right, in its sole discretion to randomly select eligible, as defined in Section 1 above, replacement Qualifiers from Last Chance registrations in attendance on the day of the Contest to make sure there are (150) one hundred and fifty TOTAL Qualifiers. – In the event of an error in the preparation of the contest materials including the (150) one hundred and fifty Keys, (150) one hundred and fifty Printed Numbers, or any tampering that results in any particular key from the (150) one hundred and fifty keys needed to open the Padlock on the box, then the station administrator will conduct a random drawing from the final Qualifiers that completed the Qualifier check in registration forms at the final event that day July 27th 2019 to determine the grand prize winner. The winning entrant will need to UNLOCK the padlock on the display box unlocking and revealing the key inside. (The key provided INSIDE the box is for display purposes ONLY and NOT the key for the Grand Prize Harley-Davidson Motorcycle.) In order to claim the grand prize, they will be contacted using the email address and/or telephone number provided with the entry and may be awarded the prize (subject to verification of eligibility and compliance with the terms of these rules). Station’s decisions as to the administration and operation of the Contest and the selection of the potential winner are final and binding in all matters related to the Contest. Failure to respond to the initial verification contact within three (3) days of notification will result in disqualification. Qualifying Prizes: All one hundred and fifty (150) Qualifiers will receive FOUR (4) tickets to the Rock N Roll Dream Concert Saturday July 27th at the Providence Medical Center Amphitheater for the FINAL Drawing. ARV Forty Dollars ($00). Grand Prize. One (1) Grand Prize will be awarded in this Contest. The Grand Prize winner will have the CHOICE of ONE (1) of FOUR (4), but not all, different Harley-Davidson Motorcycles. 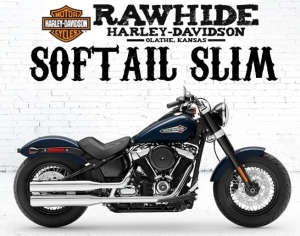 The 2019 Harley-Davidson Motorcycles that the Grand Prize Winner may choose from include: (A) Harley-Davidson Softail Slim® ARV [fifteen thousand nine hundred and forty nine dollars] ($15,949), (B) Softail®: Heritage Classic ARV [nineteen thousand and forty nine dollars] ($19,049), (C) Harley-Davidson Road King® ARV [nineteen thousand two hundred and eighty nine dollars] ($19,289), OR (D) Harley-Davidson Sportster Iron 883™ARV [eight thousand nine hundred and ninety nine dollars] ($8,999). 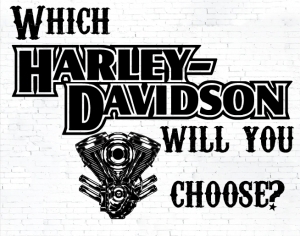 The winner can ONLY CHOOSE ONE (1) Harley-Davidson Motorcycle from the options provided above. 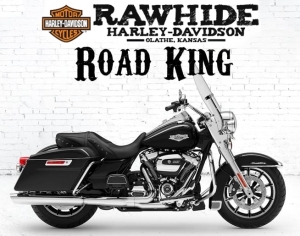 To redeem the Grand Prize the winner will need to go to Rawhide Harley-Davidson at 725 North Rawhide Road in Olathe, KS 66061 during regular business hours and complete all necessary title and ownership paperwork. Grand Prize Winner must make his/her selection no later than seventy-two (72) business hours after the Final Event and take possession of the motorcycle of his/her choosing, or otherwise they forfeit the Grand Prize. Winner is responsible for all taxes associated with prize receipt and/or use. Tax amount will be based off the (1) ONE Harley-Davidson motorcycle that is chosen from above choices by the Grand Prize winner. Odds of winning the Grand Prize depend on a number of factors including the number of eligible entries received during the Contest Period and listeners participating at any given time. Entry Conditions and Release. By entering, each participant agrees to: (a) comply with and be bound by these Official Rules and the decisions of the Station, which are binding and final in all matters relating to this Contest; (b) release and hold harmless Station, CMP KC LLC, and its subsidiaries, related and affiliated companies, participating sponsors, the prize suppliers and any other organizations responsible for sponsoring, fulfilling, administering, advertising or promoting the Contest, and each of their respective past and present officers, directors, employees, agents and representatives (collectively, the “Released Parties”) from and against any and all claims, expenses, and liability, including but not limited to negligence and damages of any kind to persons and property, including but not limited to invasion of privacy (under appropriation, intrusion, public disclosure of private facts, false light in the public eye or other legal theory), defamation, slander, libel, violation of right of publicity, infringement of trademark, copyright or other intellectual property rights, property damage, or death or personal injury arising out of or relating to a participant’s entry, creation of an entry or submission of an entry, participation in the Contest, acceptance or use or misuse of prize (including any travel or activity related thereto) and/or the broadcast, exploitation or use of entry; and (c) indemnify, defend and hold harmless the Released Parties from and against any and all claims, expenses, and liabilities (including reasonable attorneys’ fees) arising out of or relating to an entrant’s participation in the Contest and/or entrant’s acceptance, use, non-use or misuse of the prize. CONTEST SPONSOR: CMP KC LLC, KCFX-FM: 5800 Foxridge Drive Suite 600 Mission, KS 66202.